Marcus Rabun knew he wanted to pursue a career in construction when he was just 14 years old thanks to a mentor and family friend who ignited a passion for building in him. Today, at age 39, he’s the Chief Executive Officer of Charlotte-based Myers & Chapman, a 66-year-old, full-service construction company. Rabun, an 18-year industry professional and Georgia Southern graduate, feels strongly about paying it forward by educating the next generation about careers in construction. That’s why he and his company got involved in the ACE Mentor Program of Charlotte. Founded in 2007, ACE is a free after-school program for high school students interested in exploring career opportunities in Architecture, Construction and Engineering. 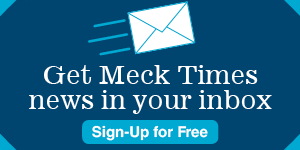 It is currently serving over 175 students from area high schools including: West Charlotte, Vance, Independence, East Mecklenburg, Hopewell, Hough, CEEC, Myers Park, Providence, Ardrey Kell, Butler, South Mecklenburg, Garinger, Hawthorne Academy of Health Sciences, Phillip O. Berry and Providence Day School. Through office tours, hands-on activities, design competitions and field trips, the program introduces students to the industry’s various disciplines. 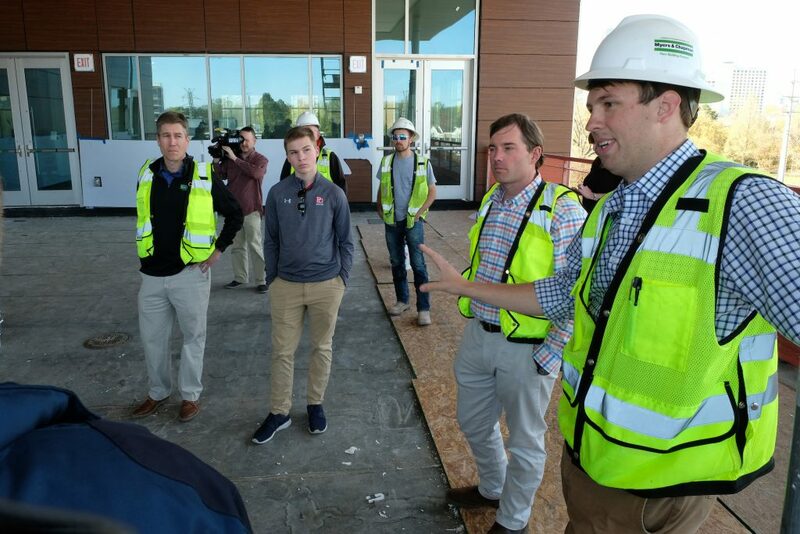 Rabun, along with Vice President of Operations, Derek Carpenter and Assistant Project Manager, Parker Schwenker, recently took a group of ACE students and mentors on a site visit of the nearly-completed Charlotte Regional Realtors Association (CRRA) Headquarters in Midtown Charlotte. The four-story, 58,697 square foot project, designed by Little and built by Myers & Chapman, will replace the old CRRA headquarters located directly in front of the new building. Luke Volkmar, Board Chair of ACE Charlotte, one of the 70 local industry professionals who serve as a program mentor, attended the Myers & Chapman field trip, too. An architect at Neighboring Concepts, he says these experiential learning opportunities outside of the classroom are an essential part of the program and can be transformational for students as they choose a career path.